Throwing up yellow bile doesn’t have the power to kill you; yet, it should in no way be ignored or neglected. 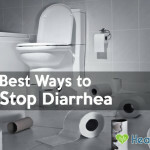 If you don’t want to suffer from stomach pain or nausea that is usually accompanied with the vomiting, you have to stave off dehydration and avoid anything that makes it worse. To make it, discover the reasons for throwing up bile as well as home remedies and prevention measures that you can take to combat this problem. What Does Throwing Up Yellow Bile Mean? Bile is a digestive fluid produced by the liver and contains an acid that helps you easily to digest and absorb fats. Normally, bile does not enter the stomach or come out when you vomit to a sphincter prevents food from the intestine from coming back up. Yet, when this sphincter opens, food mixed with bile from the small intestine can flow back to the stomach, which results in throwing up a yellow substance. 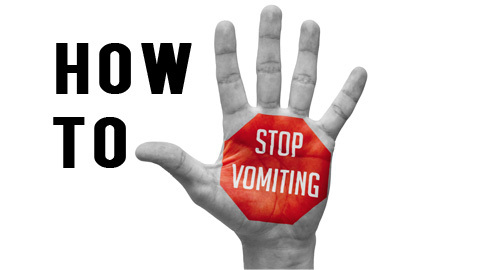 You can tell you are vomiting bile when the color of your vomit turns from a faint brown into greenish yellow due to the saturation of the liquid, and there may be pieces of undigested food alongside the liquid. This is a terrible situation that you may experience in at least once in your life. 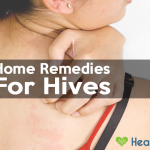 Some types are not very hard to cure with home remedies but for some, you should immediately get it checked by a good doctor to ensure that there is nothing wrong with your health. Why am I Throwing Up Yellow Bile or What causes It? Intestinal blockage can be very dangerous if you don’t find any solution to deal with it immediately. When the intestine is closed, there is a blockage (normally caused by twisted intestine) preventing the food from passing through. This makes food move in the opposite direction and hence vomiting. This structural irregularity is at times a birth defect. The main symptom of a blocked intestine is severe abdominal pains which are usually followed by green vomit and constipation. This condition happens when you have too much bile in your stomach and your body tries to get rid of it, which may cause throwing up yellow bile every morning. Peptic ulcers and stomach surgery such as gallstone removal may be the main causes of this disorder. The signs you have to encounter include abdominal discomfort, heartburn, nausea or hoarseness which causes unhealthy weight loss. When you experience these symptoms, it is better for you to visit your doctor for reliable advice. It doesn’t sound strange to you, right? If you consume excessive alcohol for long periods of time it will irritate your stomach lining and cause this condition. Moreover, certain prescription drugs, such as digitalis and morphine may also affect your brain’s operation and hence urge you to vomit. This disease is caused by a viral infection from the consumption of contaminated food or water. When having gastroenteritis, you may experience some symptoms such as abdominal cramps, diarrhea, throw up, and sometimes dehydration and are unable to digest food for about 2 to 3 days, which may cause throwing up bile after meals. It often takes place when you eat out or move into a different place as a traveler. You eat some food that is cooked in unhygienic conditions which may cause food poisoning from harmful bacteria or viruses. Symptoms accompanied with this problem are fever, abdominal pain, diarrhea, and throw up food and yellowish bile. You have to keep in mind that not all the foods you consume are suitable for your stomach. Sometimes, it may be not accepted and accompanied with a fast and forceful reaction like vomiting. Since the food is still being digested when this thrown up begins, your stomach will likely have bile in it, therefore, the bile will be excreted along with the food. You can tell you are allergic when you have a runny nose, stomach cramps or breathing difficulties. If you don’t have anything in your stomach, you will be likely to suffer from vomiting bile. This explains why the vomit is always greenish yellow when you vomit on an empty stomach. Of all the reasons listed above, this is a rare disorder that may cause you to vomit bile. Cyclic vomiting syndrome is characterized by random, violent vomiting that happens for no reason in otherwise healthy people. The cycle can happen one or two times a month and in each time, it can last for 10 days. Repeated vomiting irritates your stomach and causes increased production of bile, and this condition causes throwing up yellow vomit. It can occur in bouts or for a long period of time, so even you are suffering from slight, moderate or life-threatening symptoms of this disease, the best option for you is to visit your doctor and ask him or her for reliable advice. For instance, take medicine if bile reflux or other digestive problems are the main reasons and take antiemetic like promethazine and antibiotics for bacterial gastroenteritis to stop vomiting. Smoking can result in bile vomiting to an extent because it dries up body fluid as well as saliva that is essential in cushioning and guarding the windpipe. Similarly, drinking too much alcohol irritates the whole digestive system when it destroys your stomach lining. Throwing up bile causes dehydration. Drinking plenty of fluids or water (about eight cups) throughout the day, especially if you have stomach flu or food poisoning, will help you to keep your body well hydrated to prevent excessive loss of bile. Besides water, drinking some cups of fruit juices and cold lime juice a day can also help relieve the discomfort. Maintaining a healthy lifestyle by eating in small frequent proportions may help you to lessen the pressure on the intestine. This means that instead of taking large, heavy meals every day, which pressurizes the digestive system into working hard to digest and therefore causing bile reflux. You can eat smaller meals, and eat salty snacks to replace lost salt or drink sweet beverages such as fruit juice to replace lost sugar. However, avoid them if they make you feel sick. Trigger Foods such as carbonated beverages, caffeinated drinks, chocolate, tomato-based foods, vinegar-based dressings, citrus foods, onions, mint, and other spicy foods are considered to one of the main causes. 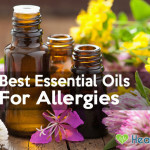 If you don’t want to suffer from stomach pain and bile vomiting, it is your time to get rid of all these unhealthy foods and avoid foods that trigger food allergy or cause food poisoning. For many years, herbs are considered as one of the best remedies for some disease like diarrhea or vomit. Some herbal supplements such as ginger and cinnamon can help relieve nausea and vomiting. These may be available as tablets or tea. In addition, if you want to control bile production and improves other digestion disorders, you should try some yellow dock. It sounds a little bit strange to you, right? However, scientists find that bile reflux is more common in obese people in virtue of the excess weight as well as pressure on the stomach and internal organs. That’s the reason why losing weight might help in curing excess bile discharge. To make it, you can do exercise in the morning, limit fat consumption or go on a diet. 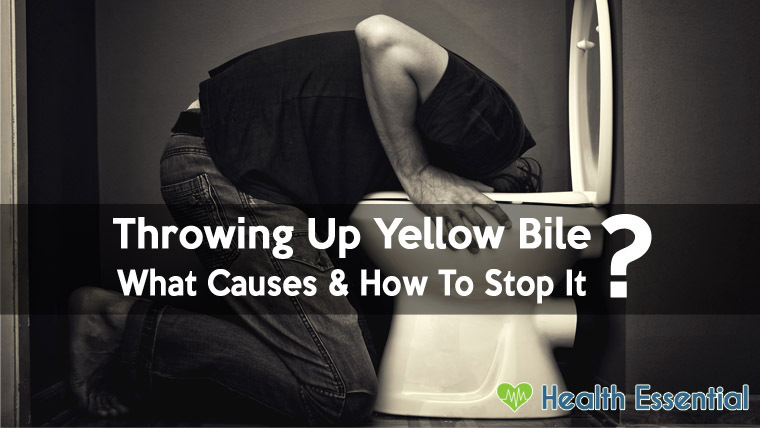 All the above are the causes and remedies for throwing up yellow bile which can not only help you to understand clearly the main roots lying behind this disease but can show you how to apply home remedies to deal with it immediately. Although they may not generate immediate effects to remove the symptoms, you will feel better and more comfortable after some time.